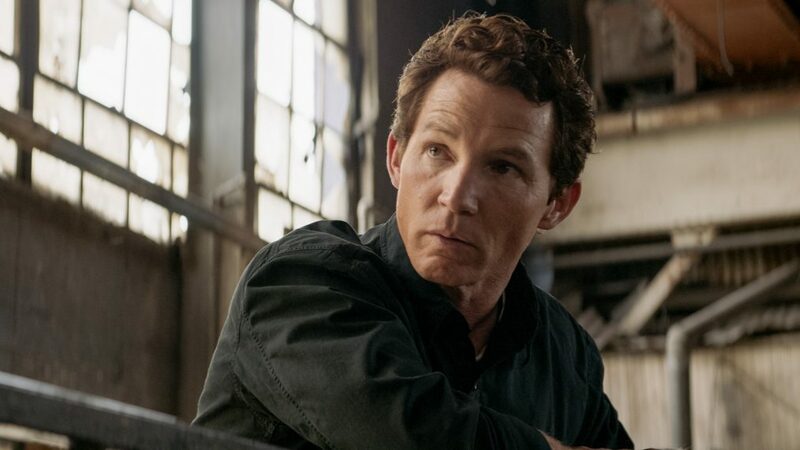 Shawn Hatosy, aka Andrew "Pope" Cody, made his directorial debut with the August 7 episode of his TNT series Animal Kingdom, and it was quite the outing. He was also on double-duty, as he acted and then jumped behind the camera, but Hatosy was more than ready for the challenge — he's been wanting to direct his whole career. As we gear up for the season finale, Hatosy also gives us three words to describe the end of the third season. Hatosy told TV Insider previously that to prepare for this big step, he "shadowed" Southland [executive producers] John Wells & Chris Chulack "quite a bit" and considers them his mentors. This was the first scene that Hatosy shot. On the set with Ben Robson, who plays Craig Cody. A little green screen action. Hatosy gives direction in a scene. "Want to thank the cast and crew for the overwhelming support. Most importantly want to thank the fans for inspiring me," he wrote.